Vancouver, B.C., Canada – The City of Vancouver’s Arbutus Greenway now has solar lighting systems from Canadian-based company Urban Solar. This intelligent lighting system will enhance the city’s urban landscape contributing to a vibrant and beautiful public space for walking and cycling. Urban Solar’s team created a customized solution using Solar LED Lighting (SLL) series units placed at strategic intervals between W 33rd Ave. and W 37th Ave.
installation and that the lighting won’t be affected by power outages. The ECM Connect™ feature utilizes wireless connectivity to provide several new lighting control features and benefits for reliability. “Sustainability is a core value at Urban Solar. Public projects like the City of Vancouver’s Arbutus Greenway are why we got into this industry to start with and we’re excited to be a part of it,” says Jeff Peters, the company’s president. been bringing the greenway up to current standards for accessibility, safety and aesthetics. The public bid process for this project took into consideration Vancouver’s goals to be a green city and required the use of UL (Underwriters Laboratories) system level certification. With a corporate focus on sustainability, and industry-leading, UL-certified systems, Urban Solar was awarded this multi-year contract. PWABC is now accepting submissions for presentations at our 2019 Annual Conference. experience and with your help we can ensure delegates have the best conference experience. on the latest ideas, best practices, innovation, and inspirational presentations. We invite presentations from municipal leaders, consultants and service providers to share their expertise and experience. PWABC is please to announce that effective March 6, 2019, the Board of Directors approved the appointment of Alexander Christensen as Director (Non-Municipal) for the term ending December 31, 2020. Alexander Christensen is based in Kelowna, BC and works as a Senior Project Technologist for WSP Canada Group Ltd. In this role he combines his unique blend of technical knowledge and project management experience to manage a wide variety of civil infrastructure projects. Alexander has over 13 years of experiences with private land development and public municipal infrastructure projects, including residential and commercial site servicing, multi-phase subdivisions, municipal infrastructure rehabilitation, and federal remediation projects in various roles including: lead designer, contractor administrator, project manager/coordinator, and senior site inspector. Alexander is a member in good-standings with the Applied Science Technologists and Technicians of British Columbia to which he is an Applied Science Technologist (AScT). He is currently expanded his knowledge by completing a Bachelors of Business Administration (BBA), at Okanagan College. The Board is looking forward to the enthusiasm, commitment and expertise that Alexander will bring with him to this role. Welcome Alexander! For more information, please review our 2019 Strategic Plan to find out more about our goals and activities for the upcoming year. These committees meeting monthly via teleconference and may more often where required for specific projects and events. If you are interested, please contact the Committee Chairs or Ashifa Dhanani at executivedirector@pwabc.ca or 604-880-8585. Take notice that the 2018 Annual General and Special Meeting of The Public Works Association (PWABC) shall be held on Tuesday, February 12, 2019 at 10:00 a.m. via Conference Call. At that time, the Financial Statements for the 2017-2018 year, and the 2019 Strategic Priorities shall be presented. There will be a special resolution to transition the bylaws and to the current requirements of the British Columbia Societies Act (the “New Act”) pursuant to section 240 of the New Act. For more information, please review our 2019 Strategic Plan to find out more about our goals and activities for the upcoming year. If you are participating, please contact Ashifa Dhanani at executivedirector@pwabc.ca or 604-880-8585 to register. The focus of this level is on the Supervisor. Individuals may be in consideration for a mid-management position OR are serving in that role currently. These courses provide basic management fundamentals and will prepare the individual for Level 3 of this program. 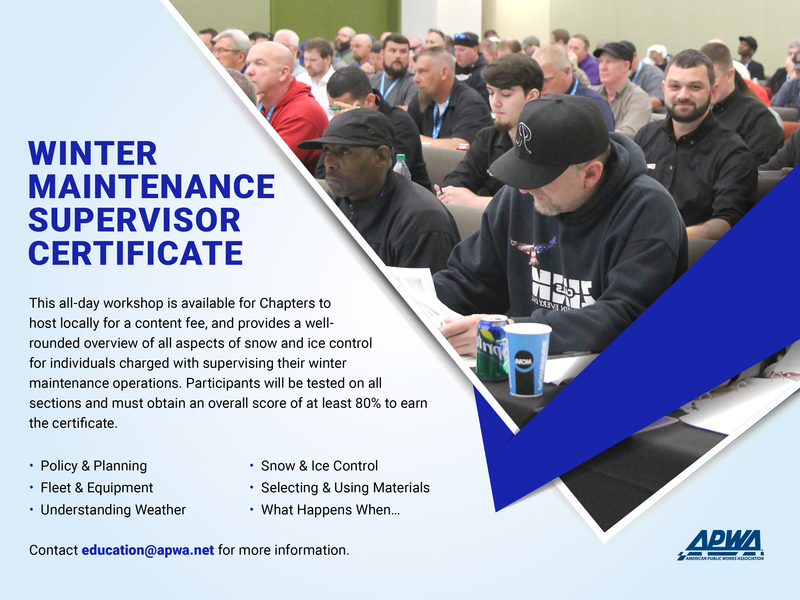 This course content has been developed in by PWABC in collaboration with Vaisala and snow and ice professionals from Lethbridge and Minneapolis. It builds on the content delivered in 2018 and incorporates an introduction to best practices for operations staff responsible for snow removal and also includes tips for smaller municipalities. Public works professionals looking to hear new ideas and gain different perspectives. Registration for this course can be transferred to another individual at any time. Cancellations are permitted until October 1st and will be subject to a $50 fee. No refunds are available after this date. 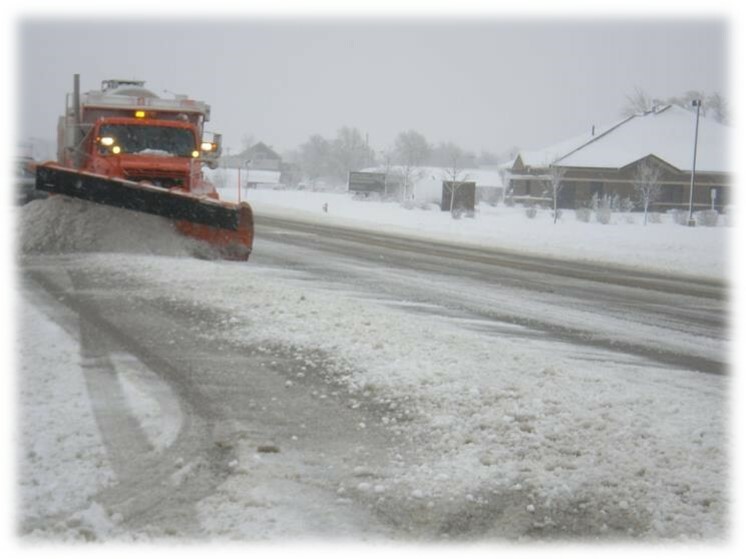 This course provides a well-rounded overview of all aspects of snow and ice control for individuals charged with supervising their winter maintenance operations. The curriculum is developed by the American Public Works Association and is delivered by experienced Public Works professionals from Canada and the US. It is refreshing to see women’s issues raising to the fore with highly publicized, Hollywood-led campaigns such as #MeToo and #TimesUp. For the first time in a long time, women’s issues are headline news on a global scale. March 8th is International Women’s Day and this year the theme was #PressForProgress; it’s a reminder to keep motivated and demand gender parity. 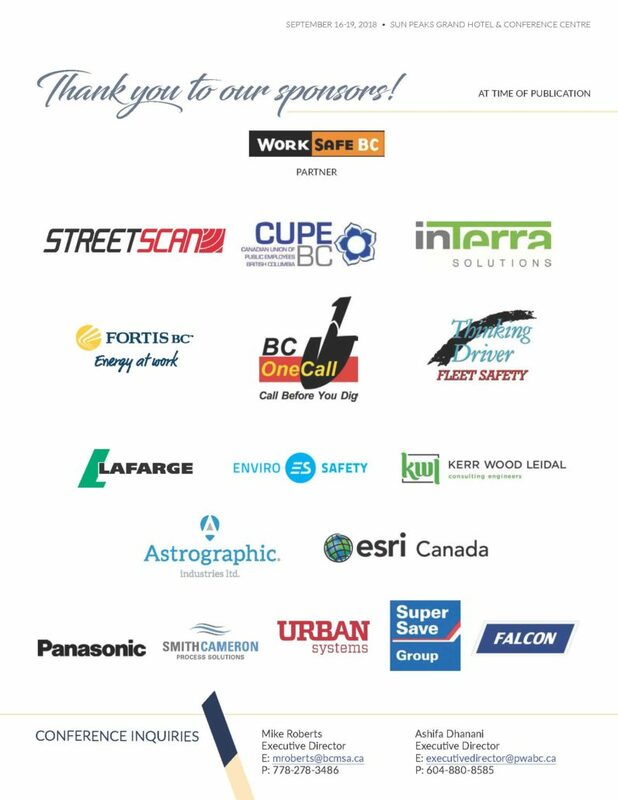 Vancouver Island celebrates these phenomenal women in public works #PressForProgress! So, where are we now? The World Economic Forum’s 2017 Global Gender Gap Report reviewed the gaps between women and men in four key categories: health, education, economy and politics. It found that the global gender gap stands at 68 per cent, meaning that globally women are 32 per cent less equal to men in the aforementioned categories. Interestingly, Canada and the U.S. were ranked as the 16th and 49th most equal countries respectively out of the 144 countries indexed. Both of them scored comparatively well when it came to economic parity with Canada ranked as 10th most equal (73 per cent parity) and the U.S. ranked 3rd (75 per cent parity). However, when looking at contextual data relevant to public works, both countries demonstrated that they were doing a poor job of encouraging women to enter into post secondary degrees that generate the public works leaders of tomorrow with only 22 and 19 per cent of engineering and construction graduates being female in Canada and the U.S. This is important because one of the keys to closing the economic opportunity gap has been identified as having more women in charge. The report shows that when women are participating in leadership roles, more women are hired right across the board at all levels. There is no better time for us in the public works arena to use International Women’s Day as an opportunity to unite, celebrate and advocate for women in public works. With this in mind, I took the opportunity to speak to three female public works leaders in my chapter and asked them what they think it takes to be a successful woman in our industry, what changes they have seen and how we can advocate for more women in our field. What attracted you to Public Works? Susan: It’s important work, elemental to society. I also like working with practical, resourceful people who take pride in doing a great job. People in public works like to get stuff done! Jen: I never thought about becoming an engineer. There was a boy in my class who was going to pursue a career in engineering, I thought, “I can do that too.” My other options would have been a lawyer or a doctor; I am glad I opted for engineer. It is so rewarding to serve my community. Nikii: When I was given the opportunity to do construction for the greater good—as opposed to completely for profit—it was a great fit for me. What do you think women bring to public works? Susan: Women advocate for new approaches, and have great problem solving and listening skills. Jen: A totally different perspective and an ability to marry community with operations. Women have real insight when it comes to what the community wants. Women’s ideas make their community better to live in. I dis-like the attitude of “we do it this way because we’ve been doing this way for ever;” women can change that. Nikii: Honestly, what we bring to the field is no different to what men in public works bring—a desire to better a community and make a difference in people’s everyday lives. Do you think public works is ready for more women and what opportunities do you think public works offers women? Susan: In most cases, public works is ready for more women, especially larger organizations. Smaller organizations may be less ready as they may have less experience of hiring women. Jen: Public works is ready for more women. The sooner the better; women are very much under represented. There is no reason why women can’t work in this field. Public works offers women the opportunity to mould their community and bring benefits that may not have been thought of without a woman. Nikii: Yes, I absolutely feel that public works is ready for more women and I have been very lucky to have worked with some absolutely stellar women in various roles in public works. 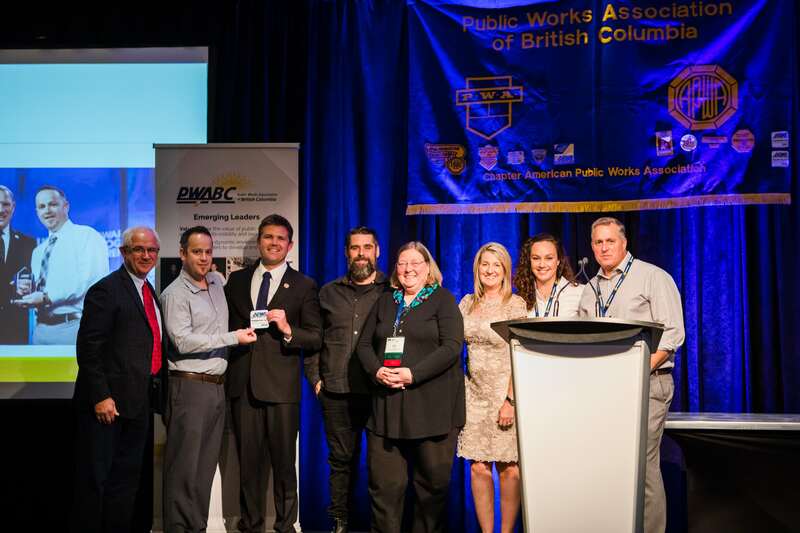 Public works offers a living wage, great benefits and a team atmosphere. There is a great sense of accomplishment and pride that comes from ensuring that the public enjoys the wonderful parks, facilities and infra-structure that is there to serve them. What do you think are the barriers between women and public works? Susan: It depends upon the organization but a lot of times the entry level jobs involve physical labour. The barrier is how we choose to bring people into public works. 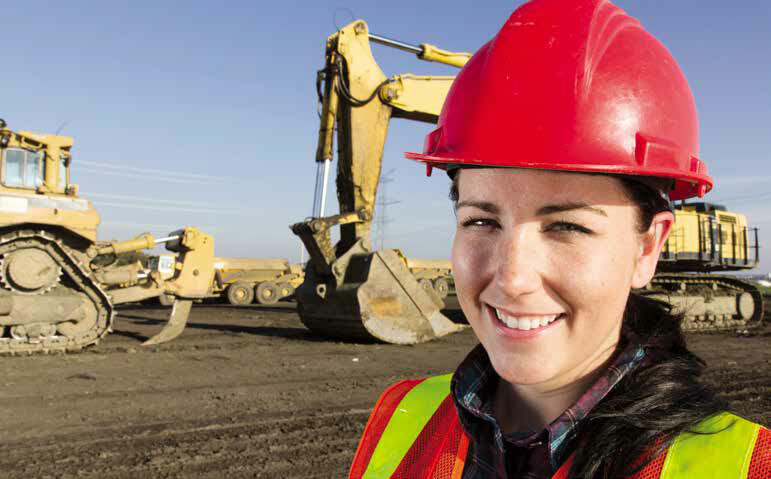 Women excel in technical and equipment operator positions. Jen: It’s not typically or historically considered “women’s work.” Trades, for example, are not typically attractive to women. We can do much to change this by encouraging young women to consider these areas during their education. Nikii: I think most of the barriers now are self-imposed—it simply isn’t thought about as a career path by women as much as it historically has been by men. I think we have to actively promote this career path in schools and at a young age, like primary school outreach. Have you seen attitudes towards women in the public works workplace change? Susan: Change has been sporadic and depends upon the size of the organization. The more women an organisation has the better it will be. The first woman may struggle and will have to prove herself. Jen: Attitudes are changing and I have seen improvements in the last 15 years that I have been with the city. I remember one time I was out at a work function with the CAO who is male, many people automatically assumed I was there with him on a personal level and were surprised when they learned I was the Director of Public Works. It saddens me, and I wonder why people would be surprised. Nikii: Definitely. The “old boys club” reputation was absolutely earned. However, as more women are employed in public works, this naturally dissipates Also, new employees, both male and female, have very different opinions about gender-based roles than some of their predecessors. Do you have any tips for women on how they can excel in the public works arena? Susan: Play to your strengths, don’t try to emulate your male counterparts. Don’t let men define what “tough” means. Jen: It is important that women in public works connect with one another. If you have a problem, it is likely that there will be a woman that will have come through it already. We can help each other and it is important to take advantage of that. Nikii: Be yourself, ask questions and listen to the answers. Be the one with the best skills, knowledge and ability to do the work, get hired on merit, and get promoted on merit. Make sure you can do all aspects of the job you apply for, and be willing to learn the things you don’t know. All of the women that I know who excel in public works have three things in common; they work really hard as a part of a team, they ask questions when they don’t know the answers and provide feedback to others when they think it would be of value, and they come to work with a great attitude—exactly the same recipe for success as for men. Charlotte Davis is the Manager of Sanitation, Recycling and Public Works Administration, for the City of Nanaimo, British Columbia. Susan Clift provides consultancy services to municipalities in the area of public works and engineering. She worked at the City of Vancouver for 25 years where she had the accolade of being the first female engineer ever hired and more recently, she served as the director of Public Works and Engineering at the City of Nanaimo and City of Colwood. Jen Fretz is the Director of Public Works and Utilities for the City of Kamloops. Jen is an engineer who started out in the private sec-tor and has been with Kamloops since 2004, where she progressed through a variety of pub-lic works managerial roles to her current role. Nikii Hoglund is Director of Engineering and Public Works at the City of Colwood. Prior to working in the municipal world, Nikii worked in the private sector in the civil construction and rail industries. She has managed projects in New Zealand, Australia and Peru. Closer to home, Nikii’s first public works role was with the City of Richmond. She has also held roles in North Vancouver, Lions Bay and Sechelt. The Climate is Changing, Are We? The provincial and federal governments, the Federation of Canadian Municipalities (FCM) and the Union of British Columbia Municipalities (UBCM) have officially stated that climate change is having an impact on local governments and their infrastructure due to increased extreme weather events and a rise in sea levels. The legal liability risks of climate change impacts include potential negligence claims, nuisance claims and regulatory liability. 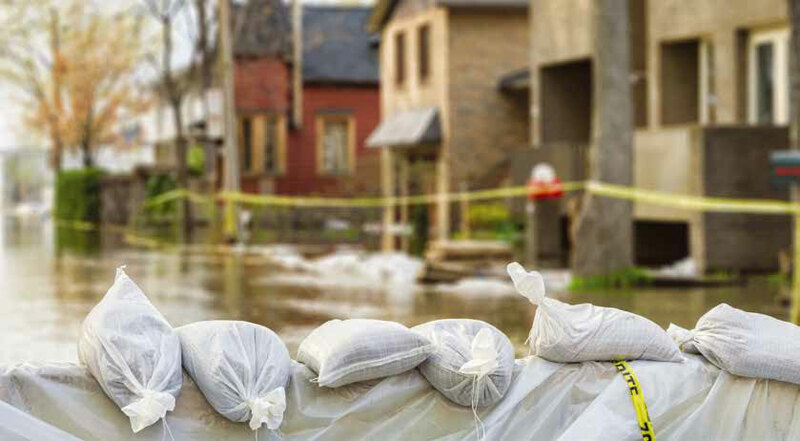 This article provides an overview of the law in each of these areas, followed by a discussion on mitigation strategies. Negligence is simply the law that attributes liability to those who knew, or ought to have known, that their actions, or inaction, could have caused the harm that has resulted to another party. Reasonable foresee ability is an important factor considered by the courts in a claim of negligence. Local governments must meet a reasonable standard of care, given not only what the local government knew, but also what it ought to have known. A court will consider the knowledge and standards in the community. Therefore, the official statements of other levels of government, the FCM and UBCM about the impacts of climate change are relevant in considering whether a local government could be found liable for losses arising there-from. A local government can defend a claim in negligence if it has a bonafide policy in place. A policy is a clear, definable procedure or system based on social, political or economic factors. To constitute a policy, a decision needs to have been made (even if the decision is to not do anything). A failure to consider an issue cannot be a policy. As such, it is clear that there is a risk of legal liability exposure if local governments fail to address reasonably foreseeable climate change impacts. Nuisance is an unreasonable interference with the use and enjoyment of property. In the context of climate change, typical nuisance claims include flooding caused by infra-structure failures or limitations. Unlike negligence claims, it is no defence to a nuisance claim that the local government had a bonafide policy in place or was not negligent. Local governments in B.C. may have a statutory authority defence, but only if it can be proved that there is no way for them to perform the statutory duty without causing nuisance, which is a very high standard to meet. To protect from such nuisance claims, it is necessary to take steps to try to avoid the incident, such as ensuring that the design capacity of infrastructure addresses the impacts of climate change in the future. Climate change can result in various types of regulatory risks under federal or provincial legislation. For example, flooding may cause a deleterious substance to enter fish bearing water or a drinking water source. Recent provincial legislation requires local governments to adopt targets, policies and actions to reduce greenhouse gas emissions in the community, which creates more regulatory requirements and resulting risks for local governments. To defend a regulatory charge, a local government must show that it acted with due diligence, or that reasonable steps were taken, considering what the local government knew or ought to have known. As such, local governments need to take climate change impacts into account when considering what due diligence steps ought to be taken. The first step in addressing climate change is to conduct an assessment of the risks and impact of climate change. Such an assessment will equip local governments with the knowledge needed to develop appropriate policies and prioritize investments to include adaptation strategies in capital, infrastructure, land use and emergency planning. The prioritization of its resources strengthens a local government’s liability defences, including its policy and due diligence defences. When surveyed by FCM (see reference 2), 19 per cent of responding municipalities reported using formal policies or practices to factor climate change adaptation strategies into decision-making in relation to the following assets: stormwater (16 per cent), roads and bridges (15 per cent), wastewater (16 per cent), buildings (14 per cent), potable water (14 per cent), sport and recreation facilities (13 per cent) and public transit (six per cent). Can local governments afford this? The average annual cost of extreme weather events is estimated at $5 billion by 2020, and is expected to increase to$43 billion per year by 2050. Therefore, an investment in climate change mitigation should pay off in the future. There are programs to assist local governments through FCM or provincial and federal governments. So, perhaps the better question is, can local government afford not to do this? This article is intended for the gen-eral information of organizations in British Columbia. If your organization has specific issues or concerns relating to the matters dis-cussed in this article, please consult a legal advisor. Adrienne Atherton is a litigator and Sonia Sahota is a solicitor and both are partners at Civic Legal LLP, a British Columbia law firm with expertise in municipal law, land develop-ment, construction, procurement and compli-cated contract matters. Visit www.civiclegal.ca for contact and additional information. 1. For more on immunity related to cer-tain nuisance actions, see The Nuisance of Sewer Backups in the Fall 2015 issue of The ROADRUNNER. 2. Informing the Future: The Canadian Infrastructure Report Card, 2016.
https://pwabc.ca/wp-content/uploads/2018/04/The-Climate-is-Changing-Are-We.jpg 462 839 caorda https://pwabc.ca/wp-content/uploads/2018/02/pwabc-logo-blue.png caorda2018-04-04 16:07:282019-01-10 22:35:02The Climate is Changing, Are We?